The 7 Steps of Serving Your Internal Customers - Service that Sells! Following the Service That Sells! 7 Steps of Service Excellence will lead to positive guest experiences and repeat visits. Ensuring your staff implements these steps is only part of the equation for creating a service- centered environment. You must also implement these same steps with your internal customers – your employees. Acknowledge employees not only when they arrive at work, but also throughout their shifts. Make eye contact when communicating with team members. This lets them know they have your full attention and is a sign of respect. A smile goes a long way for guests and for employees. The challenges of the restaurant business can sometimes take a toll on employees and an empathetic smile can be the boost a server needs to get out of the weeds and back on track. Back your smile up with actual support when you can. Communication is a fundamental component of restaurant teamwork. Whether you’re training a team member, solving a problem, or providing needed feedback, you must communicate effectively. Keep an open-door policy so employees know they can come to you with any concerns they have. Do you listen to respond, or do you listen to understand? When internal customers are talking to you, focus on not only what they’re saying, but why they’re saying it. Ask questions to clarify your understanding. Find common ground during conflict. Listen more than you speak. When talking with guests, you probably use the term “thank you” more than any other. The same should be true when interacting with your internal customers. Employees need to know you appreciate them. Show your appreciation both individually and to your team as a whole. The most important aspect of gratitude is authenticity. When you say “thank you,” mean it. You already know that using guests names is a key to earning their loyalty. This step of service excellence is a little different for internal customers, but the underlying principle is the same. People have an innate need to feel included. Using their names, asking about their families, and taking an interest in their hobbies and interests create a sense of community that improves morale. You probably don’t need to specifically ask your internal customers to return for their next shift, but you should consistently invite them to share their ideas. 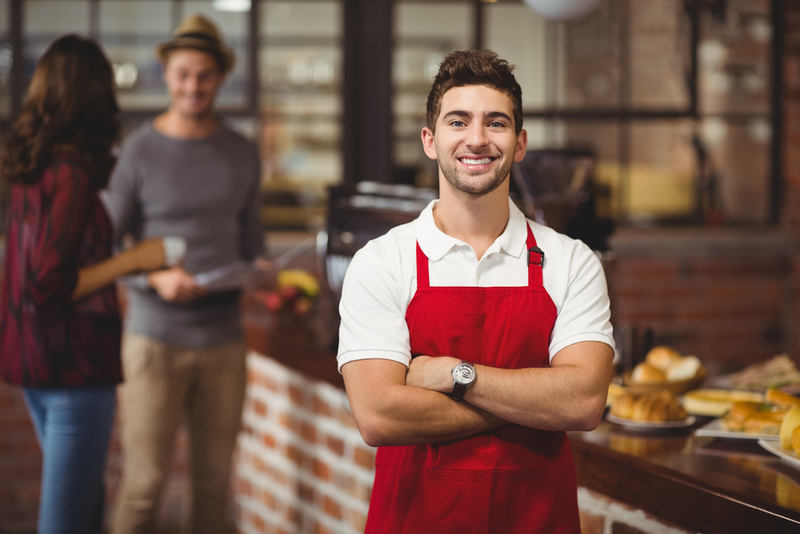 Your employees can be your most valuable source when you’re considering new menu items, promotions, and policy changes. You get what you give. When you implement the seven steps of service excellence with your internal customers, they’ll pass along that same level of service to your guests. You owe it to your internal customers to give them the tools they need to be successful. Click here to browse our online learning library.